Do you know when you should look into air conditioning service Spring? Hiring a reputable AC service center as soon as you notice damage can extend the life of your unit. It is also an important part of responsible home ownership. Texan summers can be incredibly warm. A well-functioning air conditioner keeps your family cool, healthy, and safe. It is particularly important if you live with elderly relatives or have young children. Most people know the obvious signs that they need to find Spring, TX air conditioning service. New or unusual sounds and smells are usually pretty obvious indications that something is wrong. However, there are other instances where you should contact a repair center. Some signs of damage to your unit may be less obvious than others. Despite their subtlety, these indicators still require repairs as soon as possible. Remember that when one part breaks, it can affect your entire air conditioning unit. 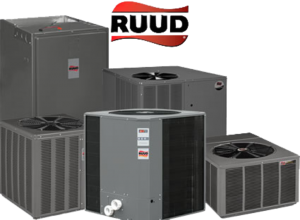 If you are looking for reputable AC service in Spring, Texas, contact Houston Admiral today. Houston Admiral Air Conditioning and Heating are here for all your HVAC needs, including inspection, repair, and installation. They pride themselves on providing Spring and Houston area residents with the best customer service possible. Houston Admiral has been operating in the area for over 50 years. This time in the field gives them the ability to train highly qualified staff. Each one of their technicians is certified and insured. They can quickly and accurately identify and repair any AC related issue. You can learn more by contacting them at 281-876-9400. New and returning customers can also visit them online at https://goadmiral.com. Houston Admiral should be the only call you need to make when your AC breaks. They even offer 24/7 service, with no extra or hidden fees for emergency situations. Take a look at a few less obvious situations that require a service call below. You can then contact Houston Admiral with any questions or concerns you have about your own system. Even if your AC unit runs beautifully, you should still have it inspected at least once a year. Do not rely on your own impressions of the system, and instead hire a professional. Spring, TX air conditioning services have staff who are experts in the field. This gives them the ability to identify issues the average homeowner may miss. They can also clean out areas of your system that may have become clogged or dirty over the year. Regular inspection and maintenance is a key part of homeownership. You want to be sure that your AC unit will run well when you need it the most. Hiring a technician to inspect your unit once every six to 12 months can reduce the risk of extensive damage. These individuals can also give you care instructions specifically geared to your unit and your climate. Even if there are no signs of damage to your unit, be sure to have it inspected often. Residents of Spring can contact Houston Admiral Air Conditioning and Heating for inspections. They have a team of highly trained and certified technicians ready to help keep you and your family cool. Homeowners can contact Houston Admiral by calling 281-876-9400. Their phones are always answered by a live voice. New and returning customers can also book online by visiting https://goadmiral.com. You should look into hiring an AC service in Spring, Texas if you notice excess moisture around the unit. This can happen either inside or on your outdoor component. More often than not it is not a serious issue. In most cases, moisture gathering around the unit indicates a blocked drain tube. This is an easy and relatively inexpensive issue to correct. It is important to do so right away, however. Mold can quickly develop around your system, which can create many health issues for your family. In rare cases, moisture may mean that there is a fluid leak within the unit. These fluids often include harmful chemicals like Freon. Contacting a reputable service reduces the risk of exposure to your family. Homeowners in Houston and the surrounding area should call Houston Admiral if they notice extra moisture. Houston Admiral wants to be sure that all their customers are safe and comfortable in their homes. Providing excellent customer service and quality repair services are how they achieve that goal. Houston Admiral is happy to offer all their clients a 10-year warranty on parts and labor. You can trust that your AC system is in good hands when you contact Houston Admiral. Visit them online at https://goadmiral.com to learn more. You can also contact their friendly office staff by calling 281-876-9400. Look into hiring a Texas air conditioning service if your system runs abnormally. Obviously things like a unit blowing warm air or not running at all is cause for alarm. There are other, more minor signs that your system is not running normally. Pay attention for things like drastic temperature differences throughout your home. For example, if two rooms that are side-by-side are dramatically different temperature-wise, there may be an issue. These problems could be the result of poor home construction. They could also mean that there is a problem with your system’s duct work. AC units that run in short spurts before shutting off also require immediate repair. If your home stays cool you may not feel compelled to have the issue examined just yet. However, it is crucial to repair this problem before it affects the rest of your unit. Units that run in short spurts often have a much shorter lifespan and require expensive repairs. You can contact Houston Admiral for all your air conditioning repair needs. They are happy to help keep your home cool and your family comfortable. Visit them online at https://goadmiral.com to learn more about their full range of services. You can also reach a live voice 24/7 by calling 281-876-9400. Hiring Texas-based air conditioning in Spring at the first sign of damage can extend the life of your AC unit. It is not too difficult to find a high-quality service. Keep your eye out for a company with a long history in the area. Hiring one that offers warranties and after-hours calls is also a wise choice. If you are in Spring, you can contact Houston Admiral today. They have a team of skilled technicians available for all your air conditioning needs. You can learn more about their services by calling 281-876-9400 or visiting https://goadmiral.com. If you are looking for the best air conditioning service Spring, visit Houston Admiral today.